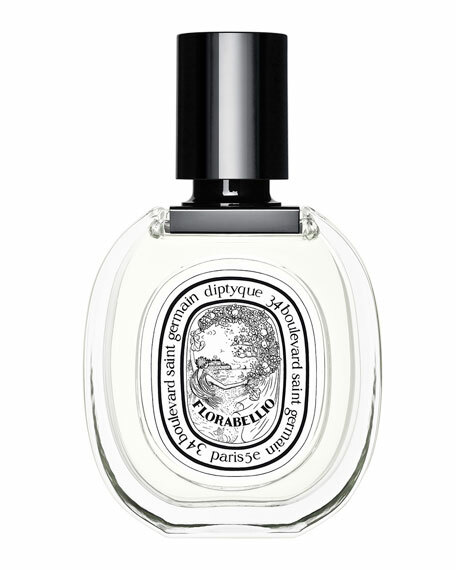 Florabellio is an olfactory landscape, a fragment of nostalgia, breaking through the barriers between memories and reality. A glimpse of nature, a path that leads from the woods to the shore. In the foreground, invigorating and salty sea spray mingles with the vegetal bitterness of sea fennel. It then develops around soft and sensual apple blossom on the wings of apricot-scented osmanthus mist. In the background, like an optical illusion, swirling wafts of roasted coffee with toasted sesame accents, foreign yet familiar. A floral trail, blurring the perspectives between land and sea, flower and fruit, softness and bitterness ... the senses are led toward distant coastlines. For in-store inquiries, use sku #223363.